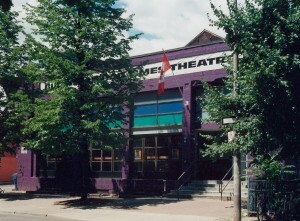 Our Cabaret is a vibrant community space in the heart of the Church-Wellesley Village. Each year Buddies hosts a wide variety of community events in our Cabaret space, ranging from charity fundraisers, variety shows, cabarets, musical acts, meetings, conferences, and theatrical performances. Complete with a stage, lighting & sound equipment, flexible seating, and a fully licensed bar, our Cabaret is an ideal space for all types of events.